Faye Carroll is the managing partner of Virginia Family Law Center in the firm's Fairfax, Virginia office. She has practiced exclusively in the area of family law since 1998, and understands that divorce can be a stressful and traumatic experience, and will work with you for the best outcome in your case. She has worked extensively in matters involving divorce, child custody, parenting time, modification of child and spousal support, and equitable distribution of marital property and debt. 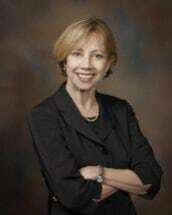 In addition to being a skilled and aggressive advocate in litigation, Ms. Carroll is very experienced in negotiating all aspects of family law disputes, including comprehensive Property Settlement Agreements in divorces, as well as settlements involving suits for modifications of support, custody or visitation. She is passionate about cases involving children; knowing that the process of separation and divorce can be very difficult for them, she is creative in developing effective custody arrangements and putting the financial well-being of children at the top of the priority list. As a volunteer for Legal Services of Northern Virginia, she has represented many Petitioners in protective order, and domestic violence hearings. As a private attorney she has also represented Respondents in restraining/protective orders as well as abuse and neglect proceedings. In her free time, Ms. Carroll enjoys hiking, kayaking and cooking. She earned her J.D. from the University of Baltimore School of Law in 1985 and her B.A. from Mary Washington College in 1982. She is admitted to the bars of Virginia, and West Virginia, and is a member of the American Bar Association, and the Fairfax County and Prince William County Bar Associations.